The grafted variety "Pantin" originated in Cuba. It is most spread in Florida and from all the varieties of red the mamey this has the best taste for us. It has large fruits of uniform size and it fruits quite regularly in late summer to early autumn. Red Mamey is a tropical evergreen tree native to Central America and widespread in the Caribbean Islands. The tree has an open crown with a central thick trunk and some large branches. It attains 20 m (60 ft) in tropical regions. Leaves are about 30 cm (12 ") long, obovate or oblolanceolate, grouped at the end of small branches. Flowers appear on the old trunk, small, whitish and sessile. It ripens in late summer. It is a large berry, oval-shaped, with a persistent calyx; its size varies from 8-20 cm (3-8 ") length. The skin is thick. brown, like soft sandpaper. The flesh is salmon-pink, orange or red and the texture varies from smooth, firm to finely granulate. It has a sweet unique taste . Usually there is a long, glossy brown elliptic seed. Fruits weight 0,3-2,7 kg (0,7-6 lb). Mamey Colorado can be eaten fresh and it is typically a base for milk shakes. It is also used in soups, preserves and deserts. 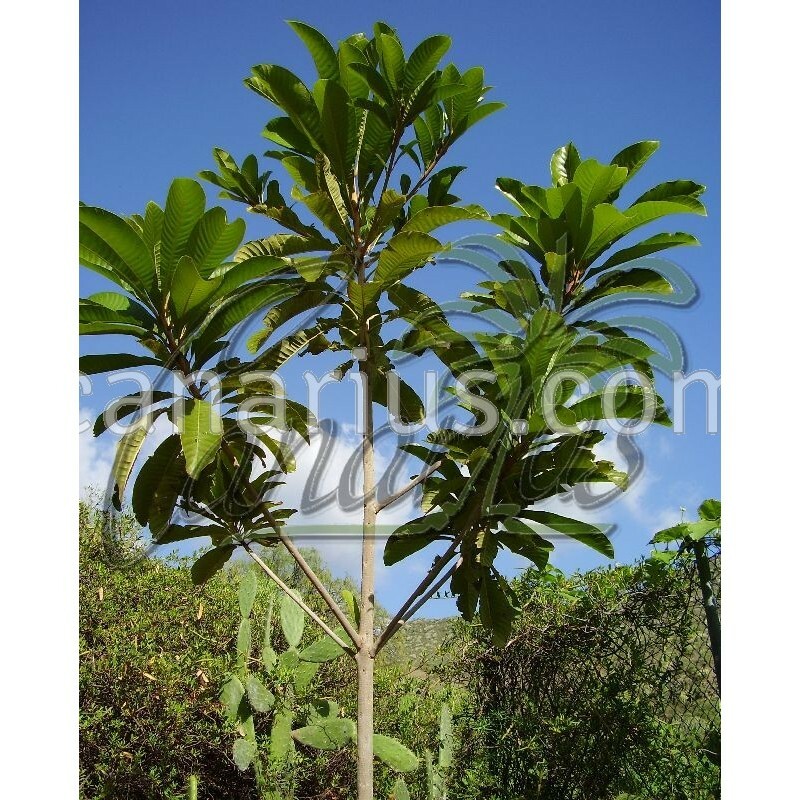 The size of the plant we offer is: a tall Grafted tree in 13x27 cm pot. It is grafted with an adult tree bud so it will start flowering soon and will set fruits in 3-4 years. 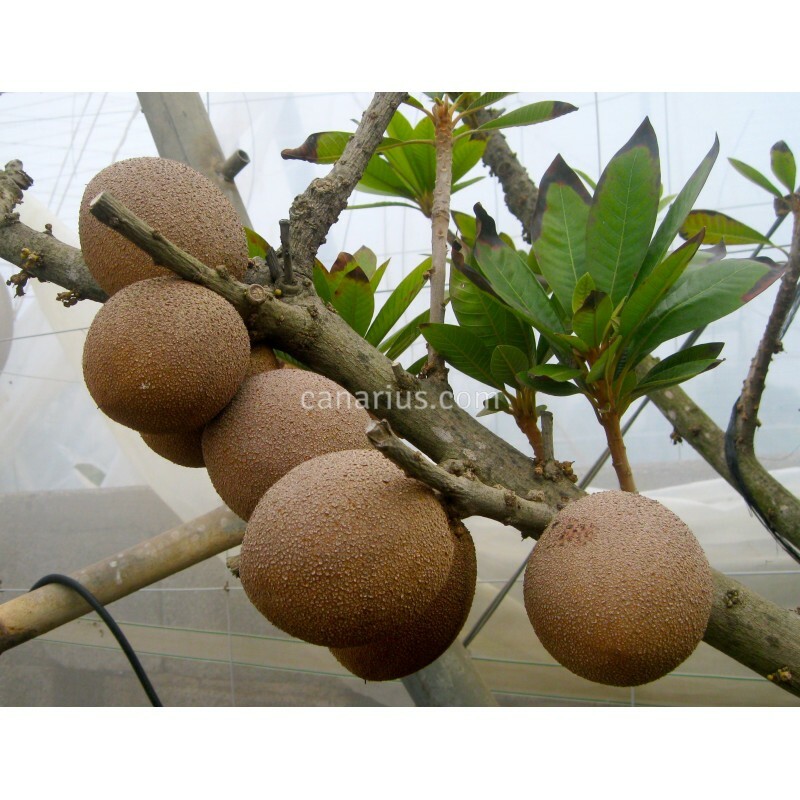 Canarius offers grafted "mameyes". Grafting trees is an art and it is very difficult to graft Pouteria as it takes many months and many failures to achieve the goal.